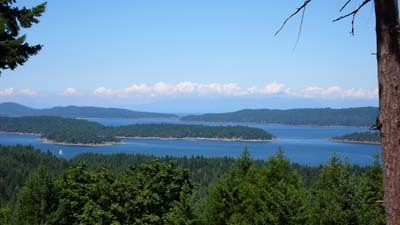 So many lovely properties on special Salt Spring Island...amazing choices, for property seekers. Ocean view? The island offers dramatic panoramic views...of ocean, islands, mountains. Some are pastoral, others forested, some are lots, others are acreages. Located the length and breadth of the island, allowing for varying exposures and many different vistas, the ocean view choices are inspiring. Waterfront? Ah...now that's where you bring your decisions to the table. Semi-waterfront? High bank, mid bank, low bank opportunities? Require a dock...or is a beach your thing? Sunrises or sunsets? Ocean or lake? Hmmm...something for everyone. Farms? The small pastoral valleys are found throughout the island. Several people currently farming are a part of the agricultural community. Buy their produce at the Saturday Market, at the Tuesday Farmers Market, at their farm gate stands. Orchards (Apple, Pear, Plum),market gardens, berries, nut trees, plus vineyards (three wineries), cidery, craft brewery, cheese maker. Lucky islanders! The Foodie Revolution is alive and well on Salt Spring Island. Investment? Yes...great options there, too. Call me about commercial opportunities. Whether you are looking for a permanent home or a recreational use for now, "it always works". How may I help you to discover and to purchase your special Salt Spring Island property?